A woman suffered smoke inhalation, but no one was killed or seriously hurt, authorities say. 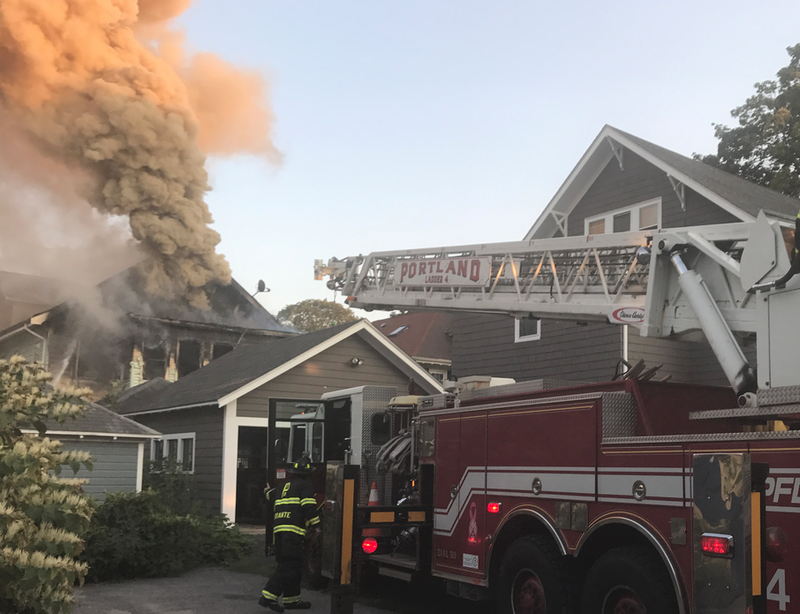 A fire that destroyed a home on Dartmouth Street in Portland on Sunday evening took place in the same neighborhood where a structure fire claimed the lives of six young people on Nov. 1, 2014. 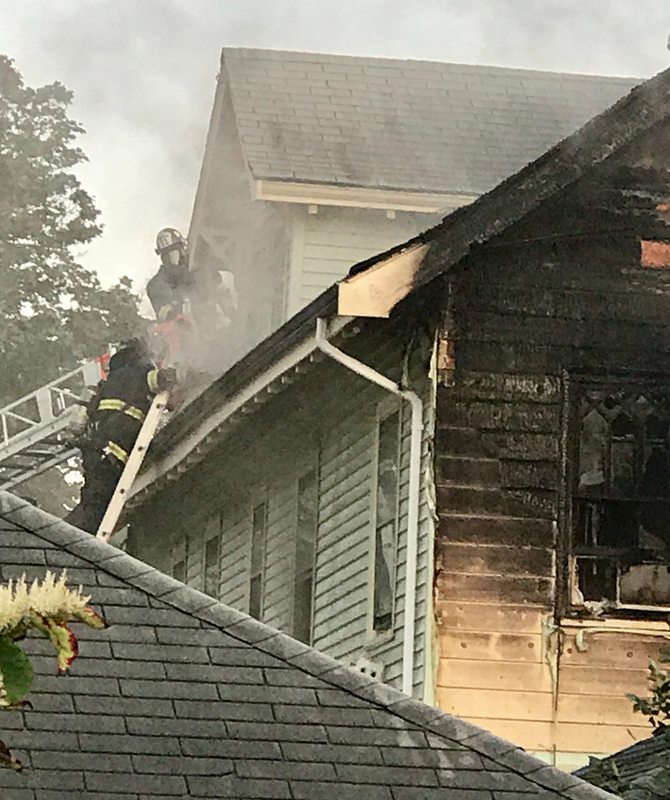 A woman suffered smoke inhalation in Sunday’s fire, but no one was killed or seriously hurt, authorities said. People who live in the neighborhood said the home at 117 Dartmouth St. had significant damage. Six young adults died in the Noyes Street fire three years ago. Noyes and Dartmouth streets run parallel to each other and are near the University of Southern Maine’s Portland campus. 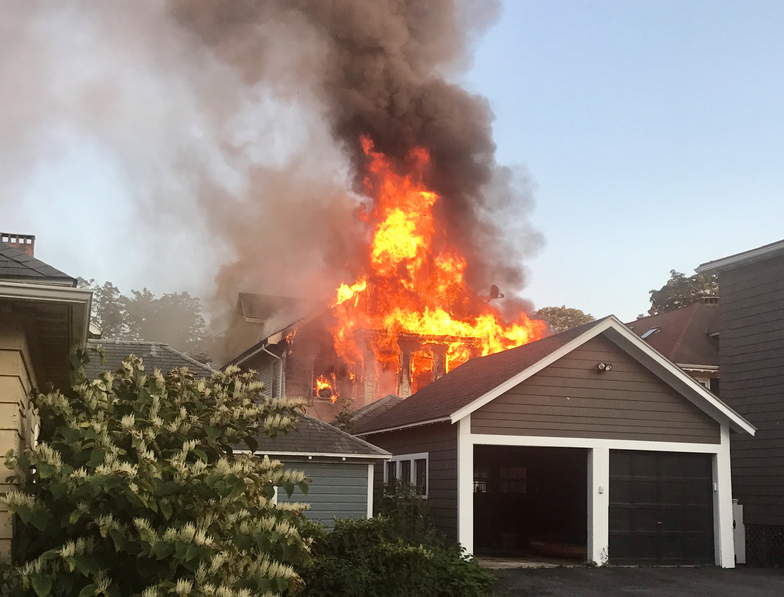 The location of Sunday’s fire “is right around the corner from the Noyes Street fire,” said Carol Schiller, who lives in the neighborhood. Photographs taken by Schiller, a professional photographer, show bright orange flames and black smoke billowing into the sky from the rear of the two-story building. A two car garage, which is next to the building, appears to have been untouched by the fire. People who live as far away as South Portland reported being able to see the smoke. When Schiller saw the fire, memories of the Noyes Street fire were still fresh in her mind. “I felt a real nervousness, almost a sick feeling,” she said. Dartmouth Street, which crosses Forest Avenue near the Burger King shopping plaza, connects Back Cove with Brighton Avenue. 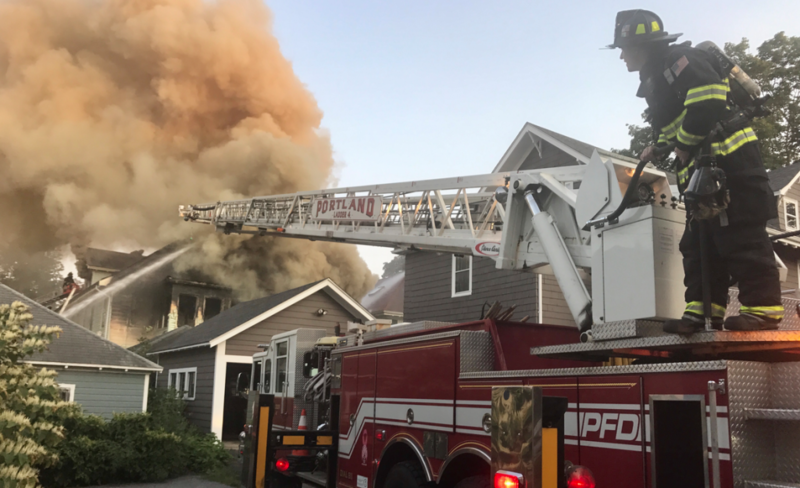 Attempts to reach the Portland Fire Department’s deputy chief in charge of the Dartmouth Street investigation were unsuccessful Sunday night. 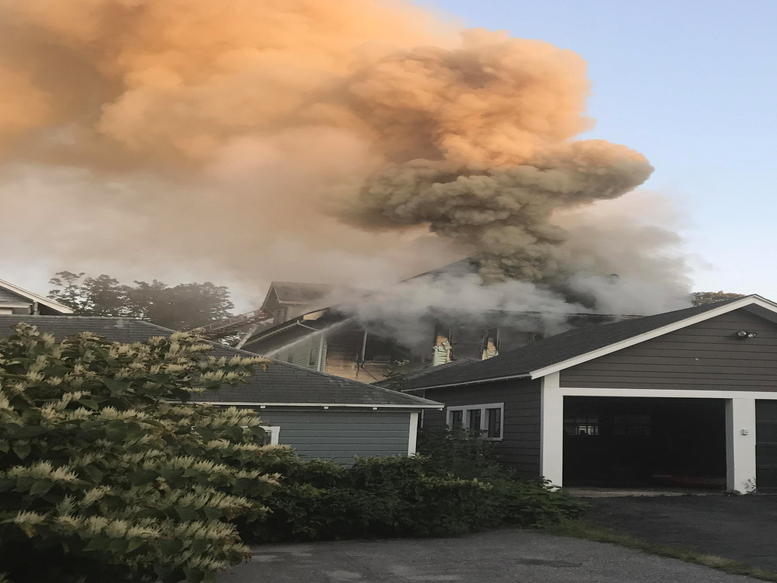 The fire was reported at 7:01 p.m. Sunday.